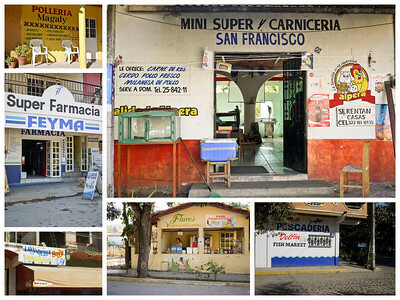 The expat life in this tiny Mexican town of San Pancho -- the people and places and slices of life in rural Mexico. 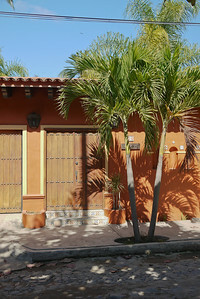 Doors and palms in San Pancho, Mexico. 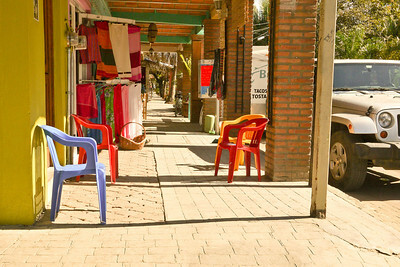 Siesta hour in late afternoon on the streets of San Pancho, Mexico. 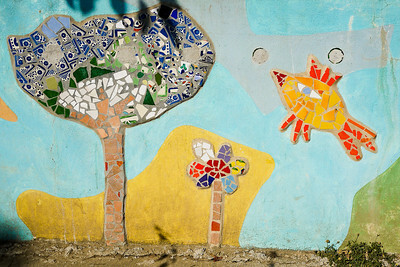 Mexican tiles laid into the concrete in the pretty town of San Pancho, Mexico. 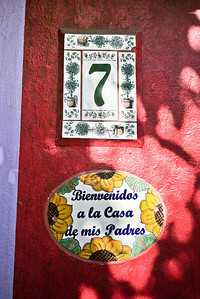 A welcome sign on a house in town says "Welcome to my parent's house" in San Pancho, Mexico. 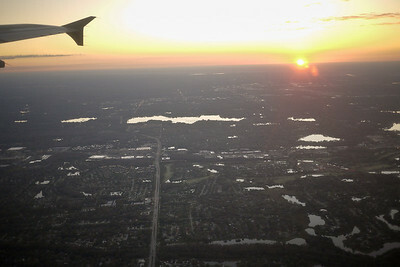 Flying out of Tampa, Florida on my way to Mexico. 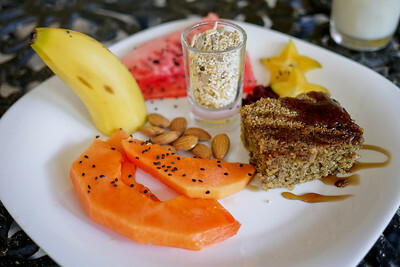 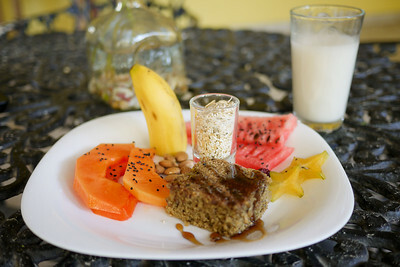 A delicious and pretty breakfast at the hostel in San Pancho, Mexico. 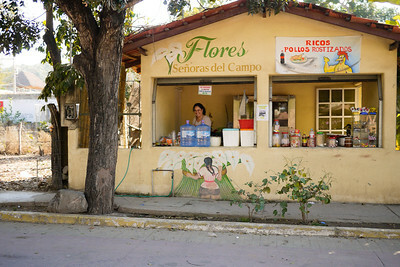 The Refugio Del Sol breakfast, the hostel and guesthouse in San Pancho, Mexico. 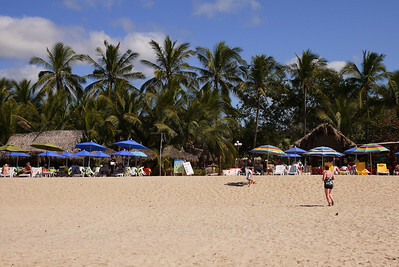 The sunny skies and quiet beach in San Pancho, Mexico. 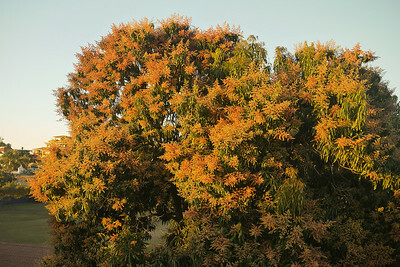 Sunset lights up a tree in San Pancho, Mexico. 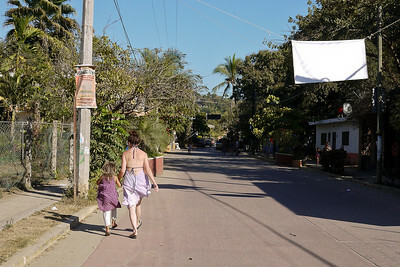 College from Sayulita and San Pancho, Mexico. 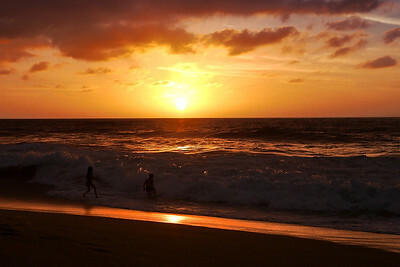 Children play in the surf as the sun sets in San Pancho, Mexico. 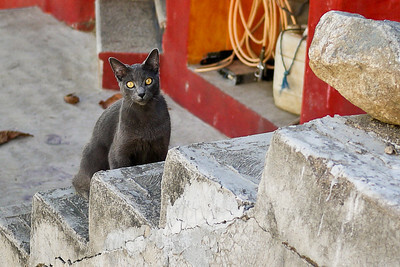 A pretty grey-eyed cat is suspicious of my intentions as I wander the streets of San Pancho, Mexico. 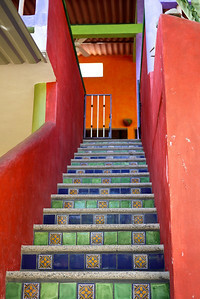 Pretty steps and a colorful adobe house in San Pancho, Mexico. 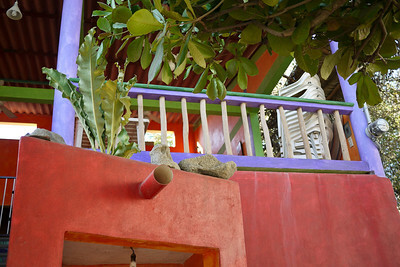 Colorful house in San Pancho, Mexico. 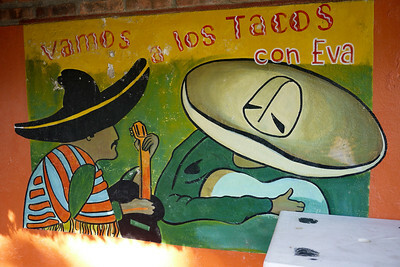 "Vamos a los Tacos" sign in San Pancho, Mexico. 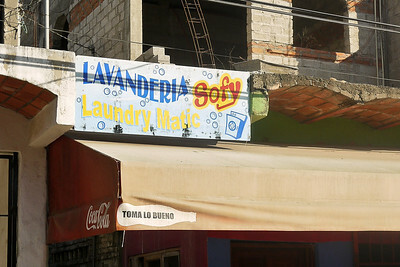 The lavanderia in San Pancho, Mexico. 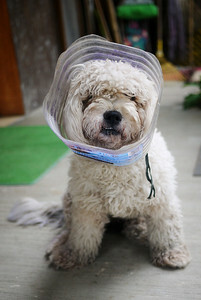 The perito in my family compound had to wear the cone of shame in San Pancho, Mexico. 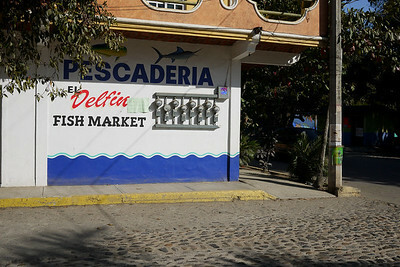 Pescaderia, a fish shop, in San Pancho, Mexico. 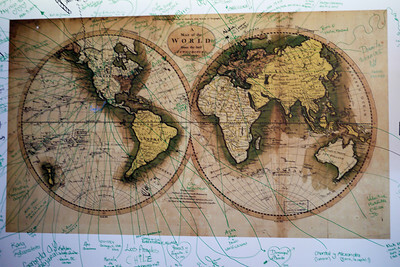 A world map with visitors signing locations and messages in Sayulita, Mexico. 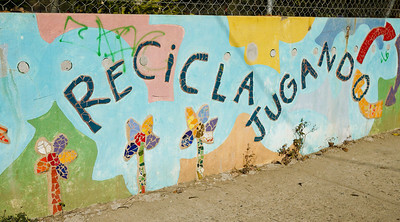 Recycle and play on the colorful walls of the local school in San Pancho, Mexico. 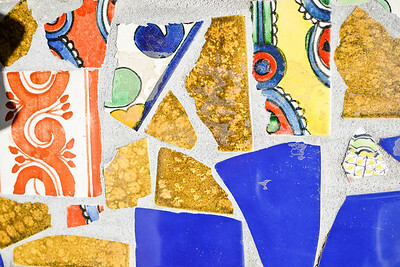 Pretty tile art work decorating the streets of San Pancho, Mexico. 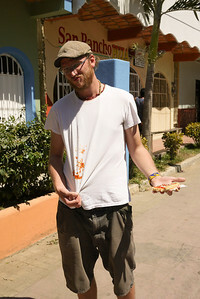 The chicken vendor in San Pancho, Mexico. 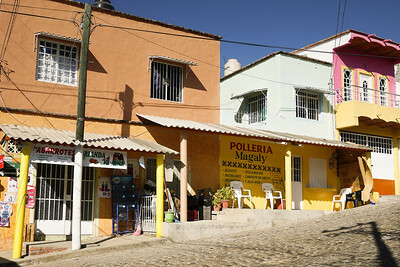 Polleria, the chicken shop in San Pancho, Mexico. 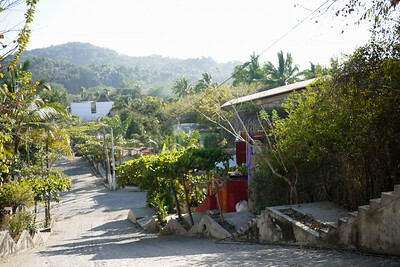 The sunny, late-afternoon streets of San Pancho, Mexico. 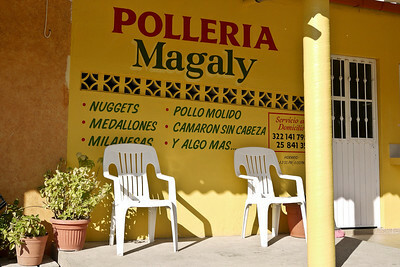 Polleria Magaly, a shop selling chick in San Pancho, Mexico. 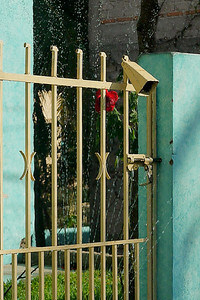 A hose waters a lawn, a rose, and a cow bell in San Pancho, Mexico. 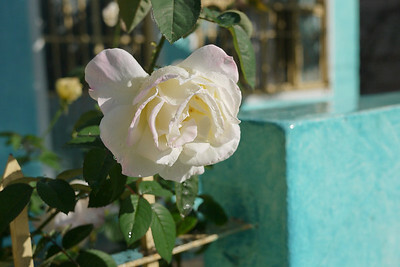 A garden rose in San Pancho, Mexico. 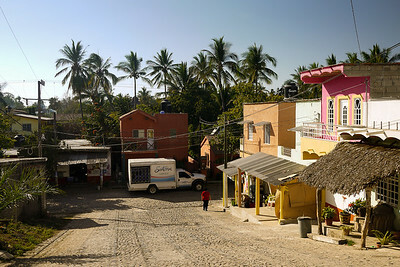 The sunny, quiet streets of San Pancho, Mexico. 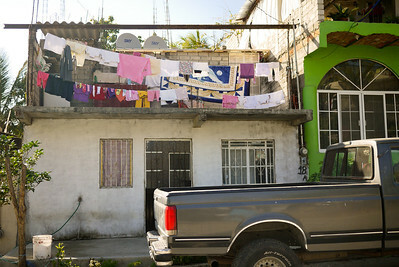 Laundry hung out to dry in San Pancho, Mexico. 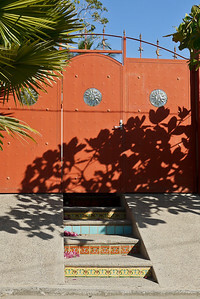 The gate to a house in San Pancho, Mexico. 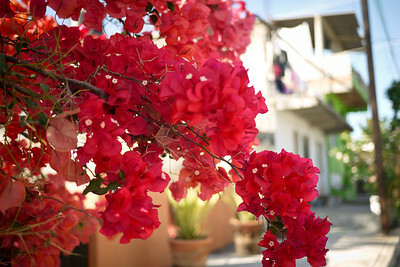 Beautiful bougainvillea hanging into the in San Pancho, Mexico. 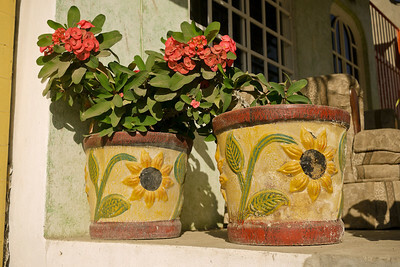 Flower posts in San Pancho, Mexico. 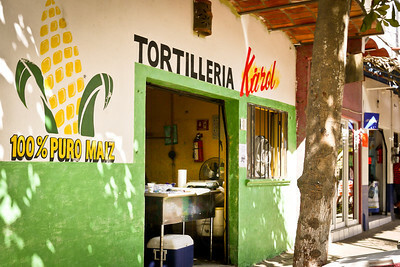 The tortilla shop in San Pancho, Mexico. 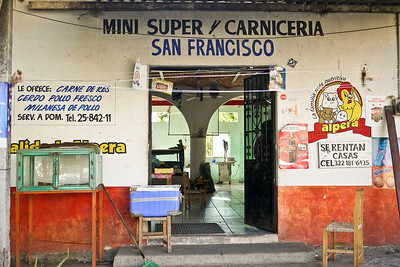 The caniceria, or meat-shop, in San Pancho, Mexico. 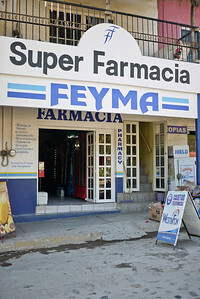 The pharmacy in San Pancho, Mexico. 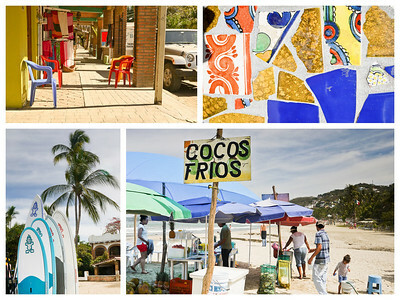 Late afternoon in San Pancho, Mexico. 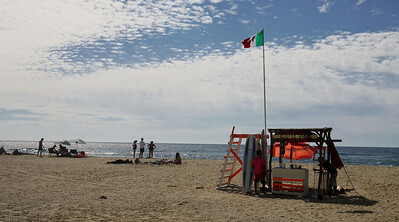 Sunny skies and a life-guard station on the beach in San Pancho, Mexico. 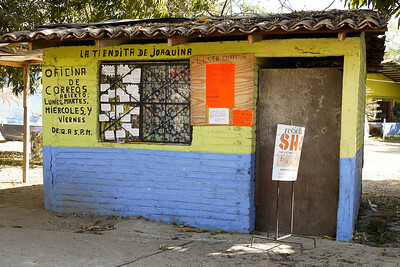 A closed up (but maybe functioning) post office in San Pancho, Mexico. 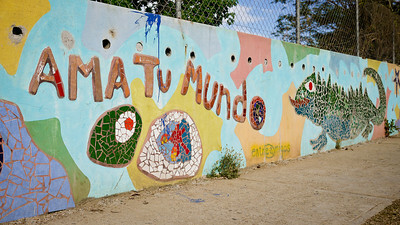 Love your world in tile relief in San Pancho, Mexico. 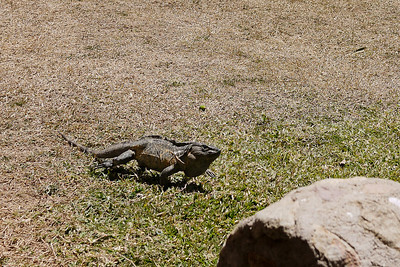 A huge iguana runs across the polo field in San Pancho, Mexico. 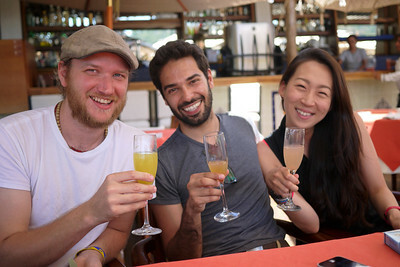 Taking in a Sunday brunch with mimosas and friends in San Pancho, Mexico. 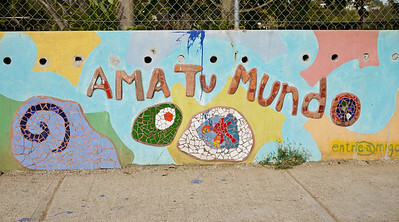 "Ama tu mundo" in San Pancho, Mexico. 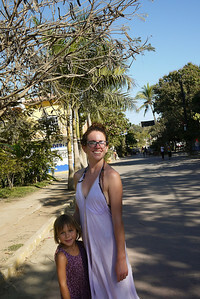 Victoria and her tiny friend skip down the streets in San Pancho, Mexico. 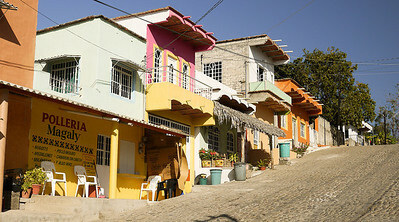 Victoria in San Pancho, Mexico.